“México 1900–1950: Diego Rivera, Frida Kahlo, José Clemente Orozco, and the Avant-Garde” is on view at the Dallas Museum of Art until July 16th. The Dallas Museum of Art’s new exhibition “Mexico: 1900 to 1950” is turning into a major attraction. 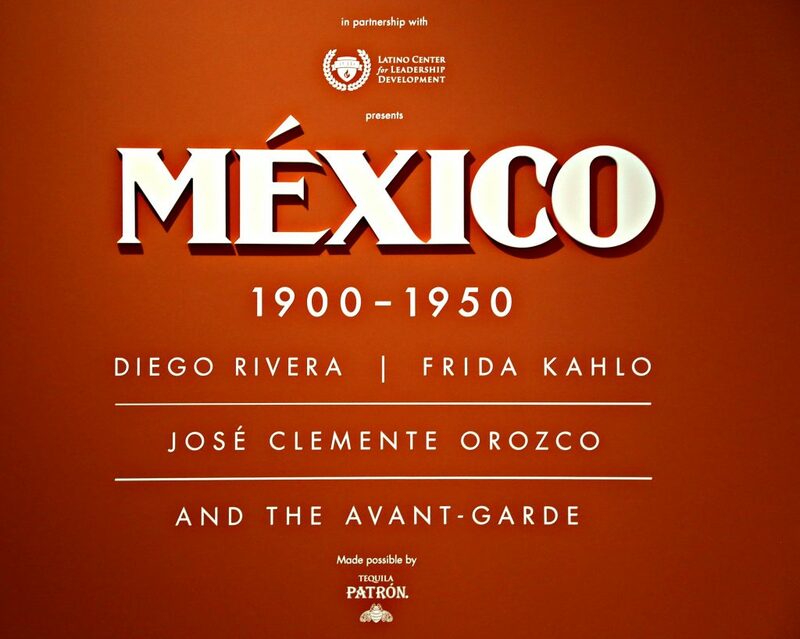 It features works from masters like Diego Rivera and Frida Kahlo and contains nearly 200 works showcasing the widespread creative explosion Mexico experienced in that period. In today’s State of the Arts – Art&Seek’s weekly look at what’s making news in the North Texas arts scene – Art&Seek reporters Hady Mawajdeh and Jerome Weeks talk about why crowds are flocking to see it. Hady: Jerome, we’ve both seen “Mexico 1900 to 1950” at the DMA a couple times, and I’ve got to say it’s big. People should know it’s so big, it actually starts up on the fourth floor and continues on the first. And it’s not only big, but it’s colorful and it’s a testament to just how much Mexico’s artists have offered the world. And it’s drawing an overwhelming response from the public. Jerome: To give some perspective, two years ago, the DMA’s groundbreaking Jackson Pollock show – which got raves – that drew 4,500 people in its first week. This show drew 11,000 in its first week. Hady: And it’s not just the number of visitors; it’s the diversity. There were more young people and people of color than I have seen at any art show here. Entire families have been showing up and I spoke to the patriarch of one family. His name is George Rodriguez. And Mr. Rodriguez told me I wasn’t alone in noticing the sorts of people that came out to see this show. 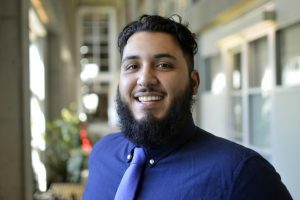 Hady: The popularity of this show is partially a testament to an outreach campaign called “Yo Soy DMA.” Before the show opened, the museum placed volunteers in places like bakeries and schools to explain the exhibition, to get the word out. Jerome: What’s also remarkable is that this is an exhibition you pay for. The DMA’s usual free admission doesn’t apply. Now, that free admission policy by former DMA director Maxwell Anderson has attracted a lot more people to the museum. But the Mexico exhibition costs $16 – for a family of five, that’s $80. So the Yo Soy DMA campaign even raised funds so families could see it. Hady: You’re right. That’s why during the show’s there’ll be nearly a dozen days when people can visit for no cost. And if you’re a Spanish speaker, the entire show is presented in both English and Spanish. Jerome: Now, some people are acting as if the show is completely new and astonishing. It is a landmark show, and the catalog itself is a major work – complete with a chronology and bios in the back plus essays on each of the show’s stylistic sections, historic periods. But the DMA has actually had a long, fruitful relationship with Latin American art. I mean, the 57-foot-long mosaic mural, ‘Genesis’ by Miguel Covarrubias (which is considered part of the exhibition) has become a signature work for the museum, sitting right there at its drive-thru entrance. And while you’re at the show, it’s worth checking on the origins of individual artworks. I counted more than a dozen from the DMA’s permanent collection. Hady: In other words, this show was originally presented in Paris, but we’re seeing a significantly augmented version — because of the DMA’s own holdings. Jerome: Right. And many people are perfectly likely to come for the Frida Kahlos and the Diego Riveras, and they’re certainly worth it. 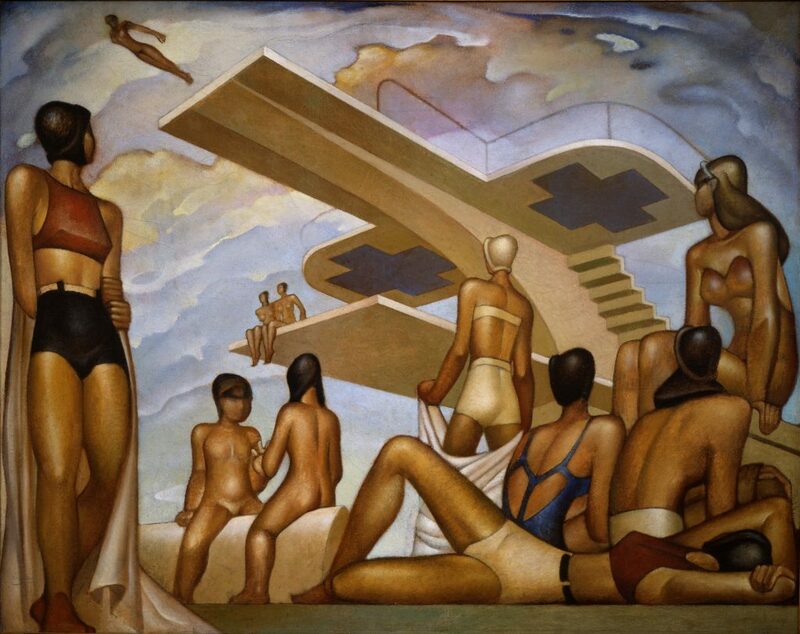 But I grew up in Detroit, which has some of Rivera’s biggest, greatest murals at the Detroit Institute of Arts. 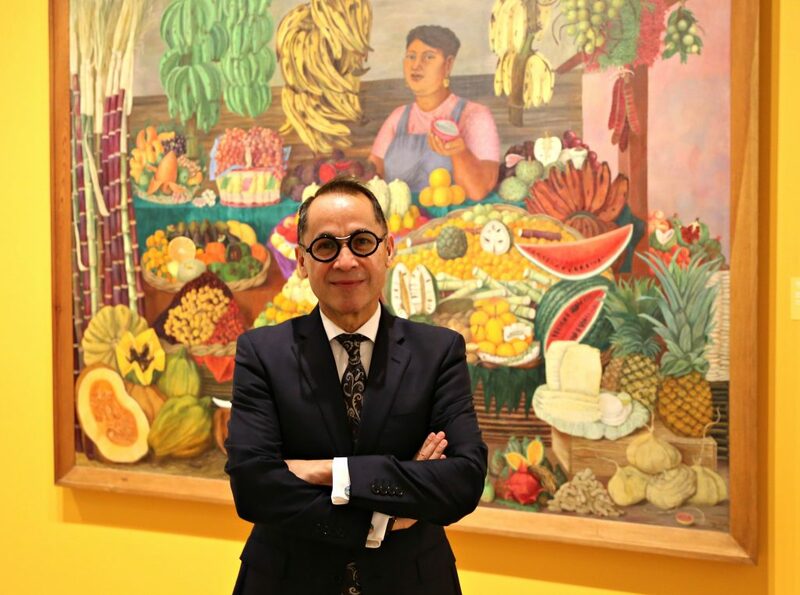 So I’ve typically seen his work primarily as murals or in relationship to Frida or to the others of the so-called ‘Big Three’ — Rivera, Siquieros and Orozco. But to me, seeing his work in such a complex, interacting context — a context with, I admit, some exceptional painters I’d never seen before (Roberto Montonegro’s Monet-ish ‘City in Mist’ but then also his handsome ‘Portrait of Gabriel Fernandez Ledesma’ that updates Kllimt and Schiele), you really appreciate the incredible ferment that was going on then. But the show does have two weaknesses that historical surveys often do. With all such wide, grand surveys, it’s easy to complain about what’s not included — but the riches that are here are eye-opening. To stand in a single room and see a Rivera painting that’s clearly Monet and Whistler-inspired, another that’s a more representational society portrait, a whispy Madame Recamier, and then a third that’s Cubism with color, and they’re all painted by Rivera in less than nine years. And it was a terrific idea to include film. Directors like the great Spanish surrealist Luis Bunuel worked in Mexican motion pictures. But so many of the exhibition’s film screenings are mere snippets. With the multi-screen projection rooms, it’s like you’re being bombarded by postcards. You get tantalizing glimpses, at best. I’d never seen Mexican animation before, for instance — whoa, there it is, zip, it’s gone. But then it just halts. Hady: You’re right! I saw visitors respond to the end like I did – you look around the corner and wonder, Why does it stop here? Where’s the rest? Did the Mexican avant-garde disappear, were the Big Three all dead? Did the art world simply shift its energies to Manhattan and that was that? Jerome: It is a bit of a jolt, coming immediately after the gallery full of surrealist sculptures and paintings, all this twisting life and color. But ‘Mexico 1900-1950’ is precisely the kind of showcase we might have expected from the new director Agustin Arteaga, who’s from Mexico. It’s a bravura entrance for him. He’s playing from his strengths and connections here, this is what he really knows. I mean, he started curating this show when he was still in Mexico — before it opened in Paris, and then he added to it here. Hady: So going forward, it’ll be interesting to see what else he can bring in? And what effect the Yo Soy DMA campaign has, long-term? Agreed?